There comes a time when you are actually worried about getting rid of the Apple ID which has been around you on your device or set of devices. It’s easy to answer question like “Can I delete an Apple ID ” or “How can I delete my Apple ID”. But the problem arises when you don't remember your Apple ID password. In this article, you will get the answer no matter you know the Apple ID password or not. Part 1. Can I Delete An Apple ID without Password? Part 2. Can I Delete An Apple ID on iPhone? Part 3. Can I Delete An Apple ID from A Computer? Can I Delete An Apple ID without Password? In such cases, the best way to figure out the situation is to get an app which can do these things with ease. Now this app, in general, has the ability to remove your Apple ID even if you don't have a password. What it simply does, is it bypasses your security access questions and enables you to simply take a step further towards the removal of your Apple ID. The iMyFone LockWiper simply help you remove the Apple ID when you don’t know the password of it. You can easily gain access to the options provided by the app by which you can remove the account. It is easy to use and it is more or less self-explanatory, the steps involved are easily understood as there are tutorial options as well. You can delete your Apple ID/iCloud account even when you don’t have password. You can change your Apple ID or even create a new one for yourself. You can enjoy all the iOS services and iCloud features after the removal. You can gain complete access to your iPhone or even iPad via this app. Step 1. 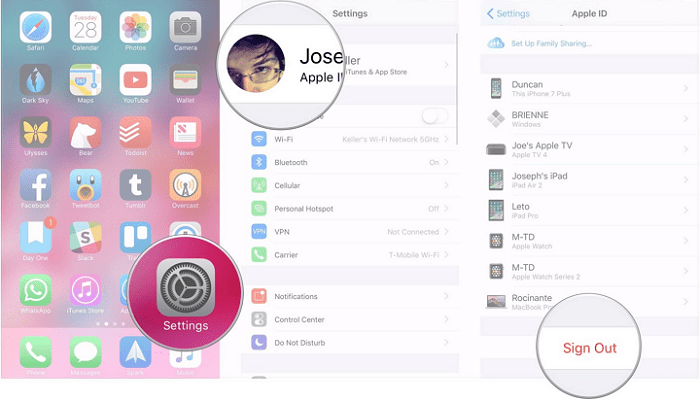 Open iMyFone LockWiper and choose the Unlock Apple ID mode. Step 2. Click Start to Unlock option. Step 3. If Find My iPhone is disabled then the app will automatically start unlocking. Note: If Find My iPhone has been enabled then go to Settings > General > Reset All Settings. Step 4. Then just let the program handle all the work for you. Note: please note that the program can only be used for already activated device, so please make sure your device is activated before use the program. If the question regarding deleting your Apple ID comes into focus then don’t panic, follow the same steps to do it. 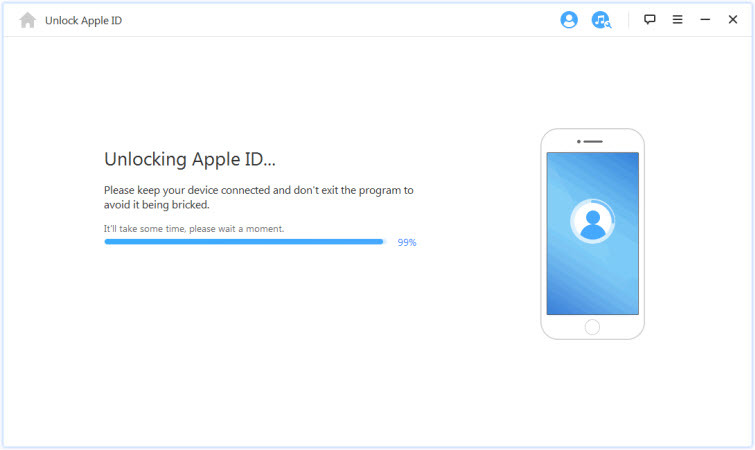 Now talking about the problems associated with removing Apple ID are mostly faced by the ones who are new to the Apple community or those who have never actually deleted their account even once. When a situation like deleting the account for good comes into the spotlight, people often panic and start worrying a lot, they even spend a lot of money trying to fix this simple process. Step 1: Go to Settings and tap your Apple ID at the top. Step 2: Scroll to the bottom and tap Sign Out. Step 3: Enter the password of your Apple ID and tap Turn Off. Step 4: Tap Sign Out and them confirm again to sigh out. This will do the job, now you don’t have to worry about the process involving deleting an ID from your iPhone or any other Apple device. Can I Delete An Apple ID from A Computer? It is a common question which comes across every user. 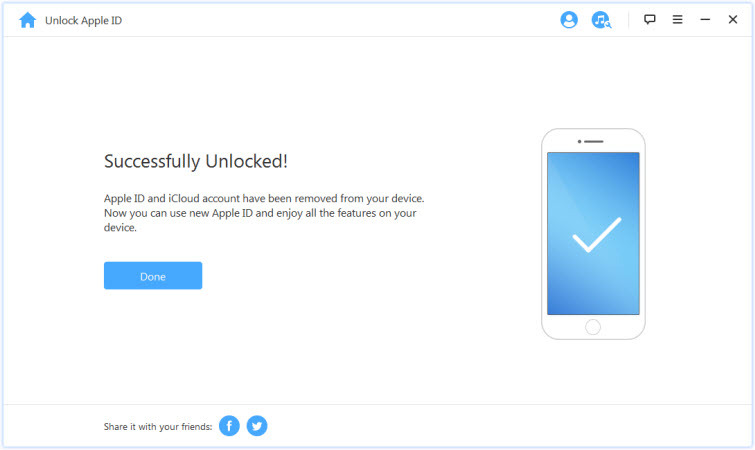 Even if there’s just an iPhone or an iPad and the access to the Apple ID is also authorized by another platform and device such as a Windows PC, you can still manage to remove your Apple ID once and for all. All you have to do is to follow the given steps and sit back, take a deep breath or even sip a cup of coffee. Step 2: Click on Store > View Account and then enter your password. Step 3: Click on Manage Devices. Step 4: Click on Remove next to each device and click Done. Step 5: Click on Store > Deauthorize This Computer. Step 1: Click on Apple icon and select System Preferences. Step 2: Click on iCloud and then Sign Out. Step 3: Open iTunes>store> Deauthorize this Computer. Step 4: Click Sign Out. 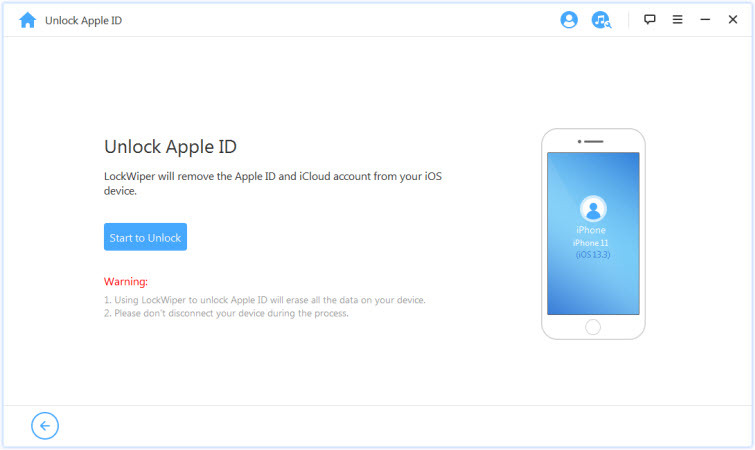 Now you get the answer of the question “How can I delete my Apple ID”. If you don’t know the password of it, then you can get help from iMyFone LockWiper. It will help you remove the Apple ID in just minutes. If you got your password in your hand, then you can just delete it by following the steps above, then everything will be solved.